Get in touch with graphic designers before they make buying decisions when you use this graphic designer email database. Easily show these creative leaders how your tool or service can make their life easier with our quality B2B email list! Graphic designers are creative people, but they're also very busy and don't have time to shop for products that could help them do their work better or more efficiently. With our comprehensive graphic designer mailing list, you can get your information to graphic designers and introduce them to your product. Make contact with graphic designers all over the country in minutes when you buy a business database from us! Each graphic designer mailing list we sell is human-verified for accuracy. Our affordable email marketing lists have valuable contact information that you can use for your marketing campaigns. 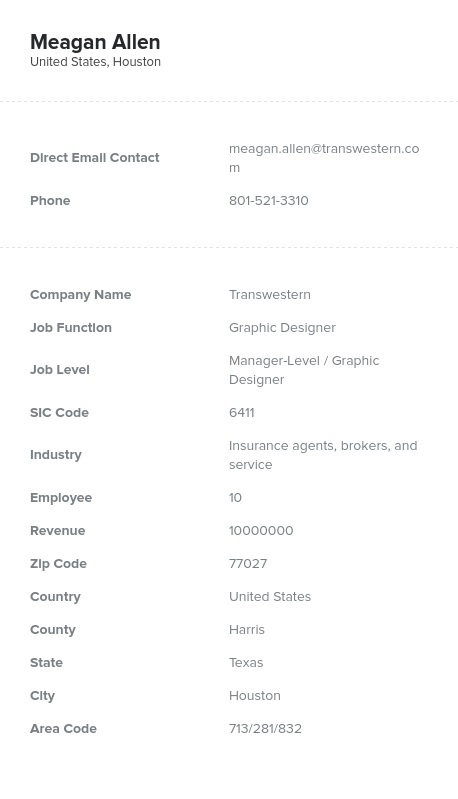 This list, for instance, includes specific, accurate details such as email addresses, company information, and mailing addresses for established graphic designers as well as newer faces in the industry. Once you buy this pre-built graphic designer email list, you can integrate it into your CRM software easily, since it's already packed into a .CSV file for you. Then, you can email leads, cold-call, or even send faxes to these sales leads right away. For a more targeted approach, you can also design your own, customized graphic designer email database using our list-building tool, filtering contacts by things like company size or location. Let Bookyourdata.com make it easy to get a business contact list that will help you make B2B connections in the world of graphic design!